Everyone's talking about Apple's upcoming iPhone 5C—the cheap smartphone that hopes to bring in many more customers—but nobody's discussing the impact it'll have on the iPod touch. I believe Apple may stop manufacturing the iPod touch altogether and replace it with this new model. And if they don't, they should. People buy iPod touches, and Apple makes a good amount of money off of those purchases. 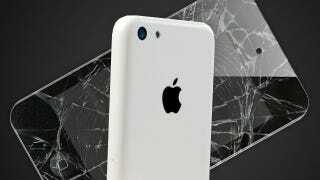 The iPhone 5C targets those customers. If the many, many leaked photos depict the actual devices, both the 5C and iPod touch offer a similar color variety. They target a user who doesn't have the cash for a full-blown iPhone but wants a similar feature set. So how can Apple convince someone with less money to purchase an iPhone instead of an iPod touch? The iPhone 5C simply has to act as an iPod touch out of the box until a user adds service. This makes it easy for any consumer to buy what, for all intents and purposes, is an iPod touch and instantly upgrade it to an iPhone whenever they want. Ideally service would work like it does with an iPad, in that you can pay as you go and easily cancel any time, but service contracts may exist for subsidized rates if carriers want to attract more customers. Easy conversion benefits both parties. If you decide you want an iPhone, you can make your iPod touch an iPhone. If you just want an iPod touch, you can keep it that way without paying extra for the upgrade privilege. When you travel outside of the country, you can get a temporary SIM card for service only for the time period you need it. This device would change how you approach smartphones. You'd have the flexibility to do what you want. Apple benefits because they can easily convert iPod touch users to iPhone users. While iPod touch owners and iPhone users both have the capacity to use the app store, a cellular data connection provides consumers with the ability to purchase apps from, essentially, any location. That results in more app downloads and greater use of the platform. It also gives Apple an opportunity to switch people over from Android. Many people use Android because they like it, but several others didn't get an iPhone because they were needed a phone upgrade and Android was the most cost-efficient platform. Still, you see a lot of users who own an iPod touch for their media despite having an Android smartphone. Those with an easy upgrade path are more likely to make a switch. The iPod touch lives in a state of limbo. It's not quite an iPhone and it's not quite an iPod. Pocket media players shouldn't cost much, and don't across the rest of Apple's spectrum. If you want something tiny you can grab an iPod nano or Shuffle for much less. iPhones fill the void on the high end. An iPod touch rests in that strange middle ground Apple has never liked. It fills a small gap, but it costs a lot of money to produce an entirely separate product when that product's sales are rapidly declining. A convertible costs a bit more per device to create, but saves more in production. Last generation's iPod touch, with 16GB, costs $229. The current generation costs $299 for 32GB. A non-subsidized 16GB iPhone costs $600. While that's a stark contrast in pricing, it's not quite as large as it seems. Apple has some very high margins on the iPhone. Not accounting for research, development, and marketing costs, Apple stands to make as much as $442 per iPhone (for the 64GB model). A low-end iPhone costs about $207 to produce, so Apple could easily price an iPhone 5C at $300 and make it a convertible device. Apple, then, could take a share of any revenue garnered by the cellular companies to turn a higher profit—much like the company did with the original iPhone. Given Apple's leisurely-paced rate of product evolution, we probably won't see the death of the iPod touch during their September 10th, 2013 announcement. We will, however, at least see the beginning of that end. While the iPhone 5C may turn too small of a profit for Apple's benefit if they use it to kill the iPod touch, they can negate that as time passes and research and development costs decline. We may or may not see the end of the iPod touch next week, but this new device will serve as a signal for the future.